Edit Mode will enable an administrator to create new Employees Panels, position and resize them, and add staff details from the floorplan interface. Administrators can also delete Employee Panels, position the panel image. Enter the Edit mode by selecting the edit button at the top right of the screen. Panels are generally used to display employees and in this documentation are often referred to as Employee Panels. However, Panels can also be used to display equipment, assets etc. 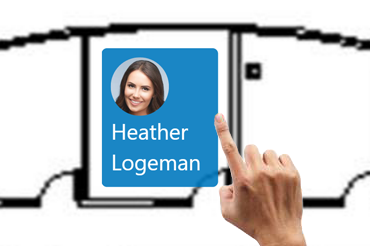 The Panel Image can be replaced with a photo of the asset being tracked. A change has been made to the Panel when editing . The Panel has been assigned to a desk. 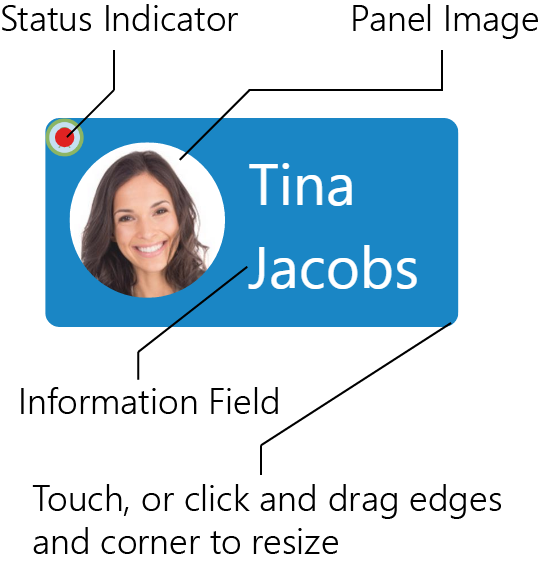 Touch, or click and drag the sides or corners to resize the panel.